I haven’t posted in a while. A long while. About six months ago I got very enthused about quilting. I decided to (with apologies to Hyperbole and a Half) quilt all the things! I bought fabric! I made plans! Then I jammed it all in a cupboard and spent six months focusing on my photography instead. Oops. Anyway. It’s been staring at me from under my stairs for six months and two days ago I asked Twitter what the hell I should do with it. Make a dress! said one of my lovely followers. Suddenly my head filled with visions of a Dior New Look style dress, but you know, in giraffe faux fur. I went on a shopping mission for supplies: I’d need a petticoat to fulfil my vision. Luckily my local fabric store was having a sale, so I managed to snag 6m of tulle, fabric for a waistband, thread and elastic all of $22. 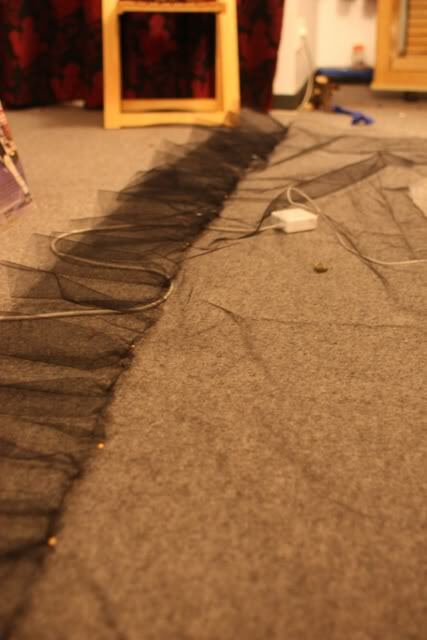 Then last night I set about constructing a three tiered petticoat. 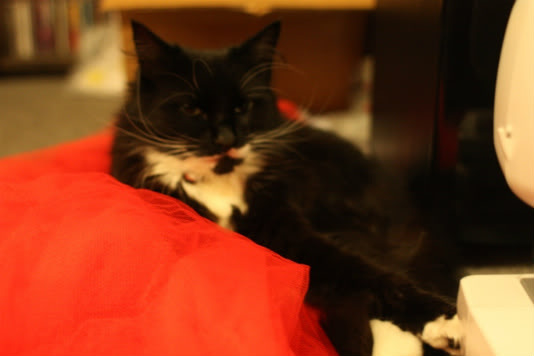 My hands are covered in scratches from where he got all bitey when I asked him to move off his tulle so I could sew it. Bad kitteh. However! 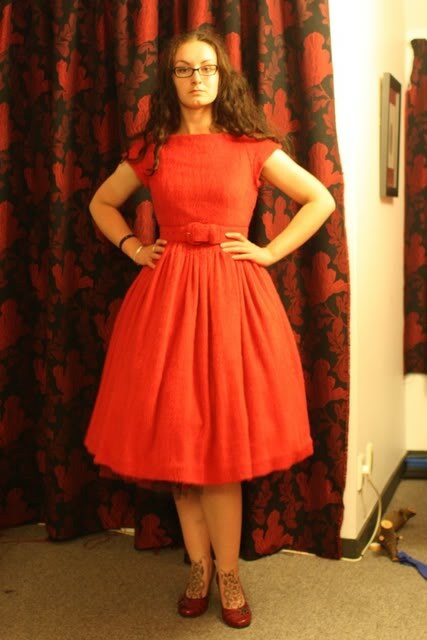 I finished it in about two hours, and tried it on under a red dress I’ve never really worn because it doesn’t work without a petticoat. It’s made from this odd red fabric that it looks like I skinned a muppet for. I didn’t though, promise. No muppets were harmed in the making of the dress. I look very stern, but that’s just my ‘it’s 2am’ face. Anyway. More pictures to come of the petticoat and the dress-to-be. I’m all enthused all over again though: I always forget how much I like sewing, and how relaxing it is. I fell asleep easily last night for the first time in months. I’m already mulling over more projects, but I won’t be counting my chickens before they’re hatched this time though.